Low mileage 993 Turbo Coupe! 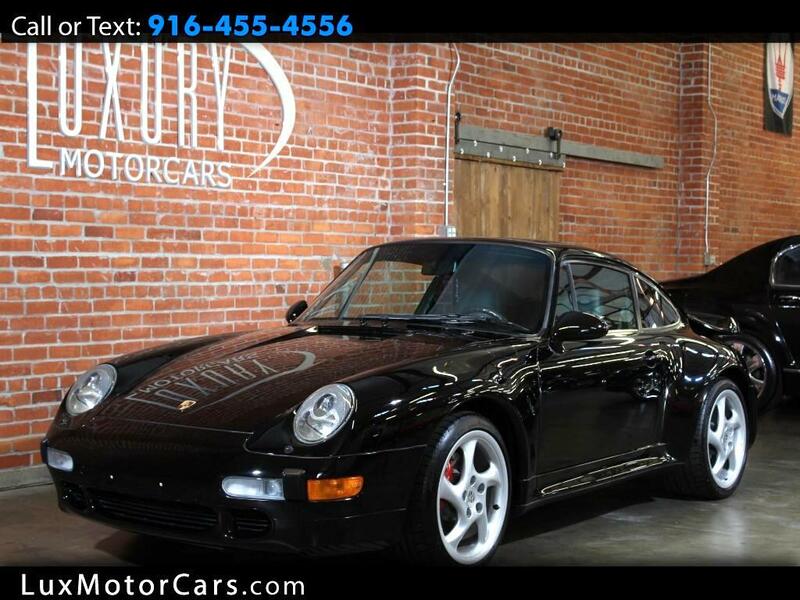 This absolutely exquisite 993 generation Porsche 911 Turbo comes offered for sale in Black over a Black interior and has been equipped from the factory with the following options: Light Rosewood Shifter, Automatic Speed Control, Sunroof, 6-disc CD Changer, and Front and Rear Seats in Pleated Leather. This car has been extremely well maintained by its previous owners, the service history sold with the car is very thorough, it has dealer service stamps in the original Maintenance book going from 1995-2005, service records from a previous owner ranging from 2006-Present, and everything has been neatly organized in a spreadsheet. The work that’s been performed in the last 12 years is comprehensive and representative of an intensely meticulous owner. A fresh set of tires and a new battery were just installed. The paint shows extremely well for a 20 year old car and the body shows no sign of ever being in an accident. The interior is still in very good condition, the materials throughout all show very little wear and no blemishes. The 993 was the last generation of Porsche built with an air-cooled engine and have become an iconic collector item. They are beautiful, absolutely amazing to drive, immensely cool, and appreciating in value every year. If you have the money and are into cars there is no reason not to own one. Visit Luxury Motorcars online at www.luxmotorcars.com to see more pictures of this vehicle. You can also TEXT us or Call us at 916-455-4556today to schedule your test drive.